So Apple just concluded their September 9th event this month launching bevy of things. But let's explore the "S" part that this event's known for, since ages. You guessed it - IPhone 6S & 6S Plus, I might not be the first to showcase it's features as the Internet's been flooded with ton's of articles about the innovation these latest iPhone's are packing within themselves, but hey I'm certainly not the last! So let's see what all the 2015 part of Apple in 'mobile space' has to offer with iPhone 6s & iPhone 6s Plus. They have a 1.82 Ghz Dual core Apple A9 chipset, which has a 3rd Gen 64-bit desktop class architecture. Both iPhones for the first time have 2GB of Ram. While Internal Storage availability is upto 16/64/128 GB. Apple : Come-on.. it is that time to ditch 16GB version, who lives in that world now? 16GB version should be replaced with 32GB if you consider the price! 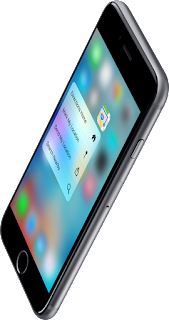 iPhone 6S has 4.7inch(750 x 1334) Retina HD Display giving it a pixel density of 326 ppi, While iPhone 6S Plus has a 5.5inch(1080 x 1920) Retina HD display with 401 ppi. Both are accompanied by LED backlit IPS LCD display's which are required for the new "Front Flash" & "3D Touch" which we'll talk in a while. QuickNote : Apple claims that, "Displays in these iPhones are covered with glass which are strongest in the industry, as it is made by dual ion exchange process". Does this make it shatterproof? Well, let's just wait a couple of weeks. 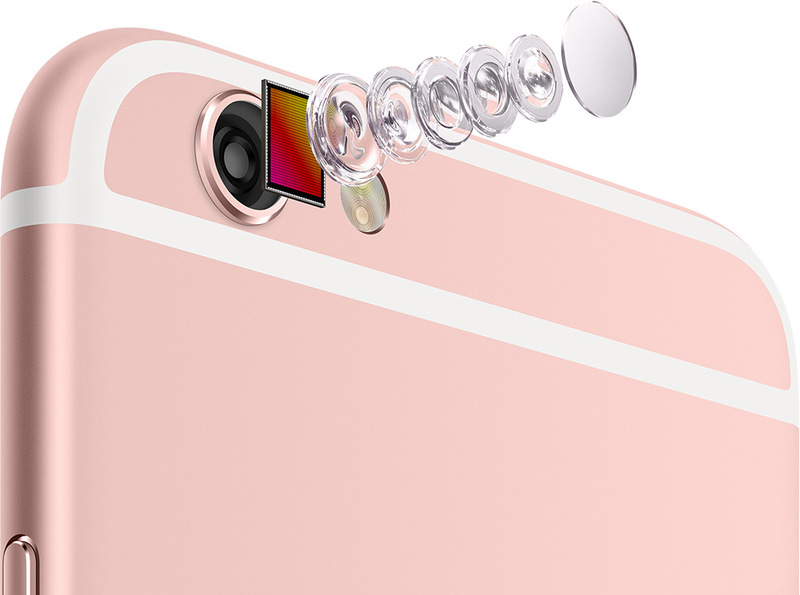 Both iPhones now have 12MP primary camera's, also the on-board sensor is now capable of recording 4K video @30fps. While Secondary camera is 5 MP capable of recording 1080p HD videos @30fps. There's even inclusion of the new "Live Photos" similar to what we've seen in the past with Nokia-Windows Smartphones. But now in iOS, things get a little more interesting when you hook-up with 3D touch. Quicknote : Make sure when you buy the new iPhone, head over to settings & turn on 4K in video settings. iPhone 6S has 1715 mAh non-removable Li-po battery, while iPhone 6S Plus has 2915 mAh non-removable Li-po battery. 2nd Gen Touch ID fingerprint sensor is twice as fast than before. Both iPhones also have LTE advance, infact they've the most supported bands in any smartphone, making it best option for travellers. WiFi is also twice as fast than previous models with upto 866Mbps speeds. Both newer iPhones are made of 7000 series aluminium, which is the same used in aerospace industry. Apple made this point straight and clear, due to the famous "Bendgate" phenomenon happened with older iPhones. Both iPhones come with iOS9 on-board with a notification of iOS 9.0.1 update, which essentially might be a bug fixes release. The Motion M9 processor is now inbuilt inside A9 chip & it's now always on. This helps enabling, Hey Siri? feature with/without plugging in your headphones. Both iPhones are integrated with "3D touch" display technology, which Apple claims to be the next big thing after Multitouch in Display Technology. Well as we differentiate twins with some pin points, iPhone 6S & 6S Plus can be similarly recognized from their older brothers with a 'S' sign found beneath the iPhone name at the back panel. Everything else is same if you take Design into consideration, leaving the sturdy built as now iPhone's are rocking a 7000 series aluminium chasis. Which certainly is the answer to so called "Bendgate". Props to Lew from Unbox-therapy for making it famous, checkout his new video which proves the sturdy build of newer iPhones. iPhone 6S & 6S Plus comes in with the usual Space Gray, Silver, Gold options & the long rumoured - 'Rose Gold' variant makes it's way. That colour can also let you know that, the person next to you has a 6S/6S Plus. Both Rear and front camera's are great on each of these new iPhones, as now 4K recording makes it's way to Apple ecosystem. Quick thought- "Just combine the superior image processing of the iPhone+OIS+4K= Amazing Footage". damn, this is going to be great! Best part is you can even edit the 4K footage directly on iphone 6S & 6S Plus. But then there's front Retina flash for selfie camera, nope not any ordinary flash! Apple has made a tweak here by combining the power of Retina display & turning the whole screen into a true tone flash. Well Apple has designed a custom display chip that triggers the display to be 3times brighter when you tap the shutter button, while taking a selfie. *QuickNote : Make sure you toggle on the front Flash option, first! It doesn't end there, a new feature called "Live Photos" that makes it's way to iOS devices, what we've already seen with Nokia-Windows phones. But Apple has made it better as you can even record surrounding sound with it. Once you turn on the Live icon in camera app, after tapping the shutter button, the iPhone captures 1.5secs scene after and before the shot was taken without you even noticing it. This live photos are 12MP high quality images that doesn't take up much space, just in case you're wondering. But then a question comes to your mind, how to view live photo's? Well the answer is 3D touch. Press & hold harder on any live photo and it comes to life, release the pressure touch and the photo is back to normal. Apple even said that these live photos can be shared soon on Facebook. Apple brought multitouch to the world by introducing first iPhone back in 2007 with Steve Jobs unveiling it. But Now Apple thinks that it's time to take a next step in display technology. So here comes "3D Touch". Jonathan Ive says, "Tapping, swiping, pinching & zooming in/out have forever changed the way we navigate & experience our digital world. But now in iPhone 6S & 6S Plus we're introducing some new gestures enabling iPhone to recognize -Force with the technology called 3D Touch "
So these new gestures are named -'Peek & Pop'. Essentially when you receive any link, directions or any flight no, you can force touch it to get a preview of where you would land(That's Peek) & if you continue pressing even harder you would land into that link/app(That's Pop). These gestures are even available on Homescreen where you can force touch any App & you'll get shortcuts within the app. It's basically having a right click option on your iPhone. Well Few Users might think that it's the same thing that happens with widgets on Android, but that's not the case here. Technically, Capacitive sensors measure microscopic changes to the user's press within the cover glass and the backlit display. This in turn works with the newer taptic engine built inside the iPhone to give precise feedback on every 3D touch press a User makes. Fun Fact- Even Craig couldn't help it spelling 'Force touch' while demoing '3D Touch' during the presentation. Multitasking within apps with a Force touch from the left edge. You can even juggle between Apps from a whole left to right force touch-swipe. Photos come to life, if you force press on 'Live Photos'. You can quickly use functions within the app before even opening them. Eg: directly landing into selfie camera, check-in to Facebook, etc. Spoiler: Though with this new 3D touch pressing & holding to copy an embedded link, can be a bit of struggle for any User. Lastly Apple has even made an Android App to transfer your content from Android to iOS, which lately has received lots of love from Android ecosystem, no offense. But it's handy to have that in-case, if you rely on both ecosystems. Apple even has kept the same price tag for both the newer iPhones compared to the earlier models. Which again is amazing if you compare the benefits that you get for the same price as before (6S - $199, 6S Plus- $299 on a 2 year carrier contract). These new iPhone's are almost 70% faster in CPU tasks, while 90% faster in GPU tasks. There's even inclusion of a new "iPhone upgrade program by Apple", starting in US & then expanding slowly to other countries. 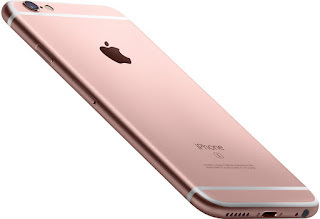 You can even buy iPhone 6S/6S Plus on a monthly contract basis. Apart from that the newer iPhones bring some new charging docks, silicon & leather cases. Pre-orders have already begun, while both new iPhones are now available in Apple retail stores. By the way if you've an iOS device, have a glance over your notification shade regarding iOS9 update. 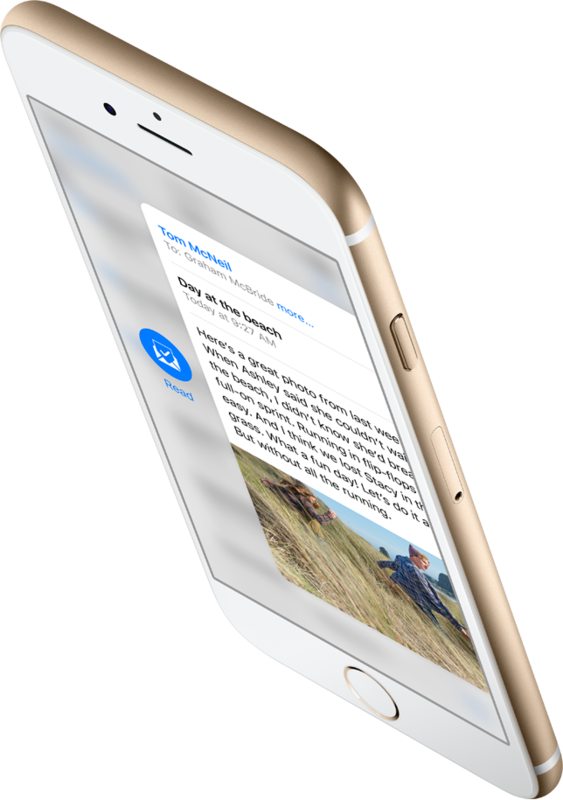 Grab it to use some of the iOS 9's latest features. Also See : Has Apple's 2 new accessories -Apple Pencil & Smart Keyboard, really found a way to please critics? I'll probably wait for an iPhone 7 rather than upgrading to 6s. The same looks make no sense to me. Externally it looks the same, but internals have been upgraded wickedly! Though if you have an iPhone 6/6 plus.. waiting is what you should probably do & i agree with that.